It was a pleasure to drive! It is a smaller SUV or SAV ("Sport Activity Vehicle") as it's called, but it is super roomy inside. In fact the roomiest vehicle in it's class! The ride was so comfortable and spacious. Also it had the speed you expect from BMW with a 228 HP TwinPower Turbo engine and was very fun to drive! The interior was just a gorgeous as the exterior. We loved the Head's Up display which projected the speed and other driving info on the window, directly in the field of view, to ensure your eyes are always on the road. Safety first! We also enjoyed that the back 3 seats could each be folded down, either separately or together. Very versitile! Once in Kimberley, we stayed at Northstar Mountain Village Resort, which was perched at the top of the hill with stunning views! One of which was a Momma brown bear and her cub, right out our back door! Was an amazing experience to watch them! Go to our Instagram stories to see full video. (under "cars") Don't worry we watched safely. When we weren't driving the beemer or filling our tummies, we were out enjoying nature. We took in the sights, sounds and smells exploring the Lois Creek Trails and even did our own outdoor mini boot camp. It was a perfect relaxing get away. 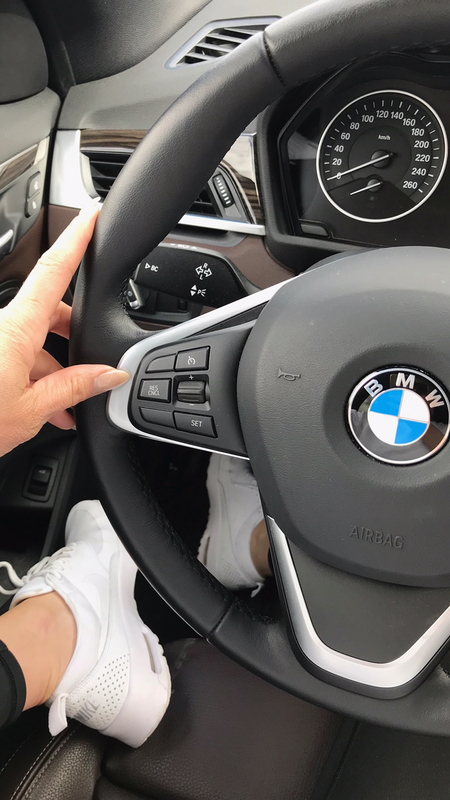 The BMW X1 was the one for all of our adventures!